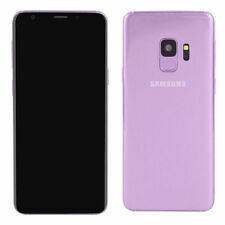 Non-working Fake Dummy For Samsung Galaxy S9 Black Color. also it has excellent texture. Non-working dummy, display model, no Internal Working Parts. 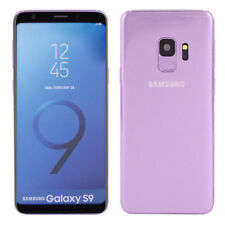 Non-working Fake Dummy For Samsung Galaxy S9 Purple Color. also it has excellent texture. Non-working dummy, display model, no Internal Working Parts. Dummy Phones. Doro Dummy Phones. Huawei Dummy Phones. 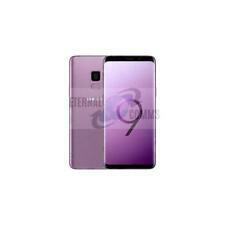 ZTE Dummy Phones. Blackberry Dummy Phones. Apple Dummy Phones. HTC Dummy Phones. LG Dummy Phones. BRAND NEW SAMSUNG GALAXY S9 DUMMY DISPLAY PHONE - BLUE ​This Dummy is the exact same Weight, Size & Materials as the real phone Please Note: This is a dummy phone for display/shop/joke purposes only Genuine UK Stock - Not Chinese copies like others sell Perfect use for: - Retail/Mobile Phone Shop Display - Photo Shoots & Film Sets - Play tricks on your friends - Great Collectable items - Let the kids have it so they don't destroy your real phone any more!! UK postage is FREE by Royal Mail 1st Class Post All International Shipping comes with a Tracking Number All order placed by 3pm will be sent the Same Day If you have any questions please feel free to Contact Us Please take a look at our OTHER ITEMS. BRAND NEW SAMSUNG GALAXY S9 DUMMY DISPLAY PHONE - TITANIUM GREY ​This Dummy is the exact same Weight, Size & Materials as the real phone Please Note: This is a dummy phone for display/shop/joke purposes only Genuine UK Stock - Not Chinese copies like others sell Perfect use for: - Retail/Mobile Phone Shop Display - Photo Shoots & Film Sets - Play tricks on your friends - Great Collectable items - Let the kids have it so they don't destroy your real phone any more!! UK postage is FREE by Royal Mail 1st Class Post All International Shipping comes with a Tracking Number All order placed by 3pm will be sent the Same Day If you have any questions please feel free to Contact Us Please take a look at our OTHER ITEMS.